Faith Howells has a perfect life... or does she? Wife, mother of three young children and partner in a small family-owned law firm, she has sacrificed the prospect of a high-flying career for a happy-ever-after existence in a quiet town on the beautiful coast of west Wales. One Wednesday morning Faith’s life is turned upside down when her loyal husband, Evan, leaves for work and never arrives. Every certainty to which she has ever clung is thrown into doubt as she is forced to the realisation that he has gone. She then begins to discover that he took many untold secrets with him. Juggling children while holding together an embattled law firm, Faith’s search for Evan takes her into ever darker realms as she confronts the fact that there is something that can be called truly evil and accepts the possibility that it has claimed the man she loves. Meanwhile, increasingly suspicious local police suspect foul play and treat Faith as the prime suspect. Drawing on resources she never knew she possessed, Faith transforms from domesticated mother to lioness in her pursuit of the truth – the only thing that can save her family from heartbreak and ruin. 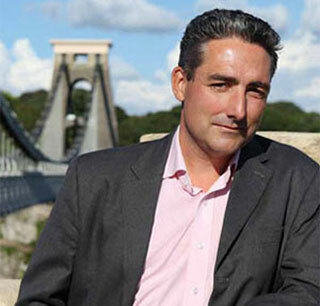 Keeping Faith was created by BAFTA winning screenwriter and twice CWA Gold Dagger nominated novelist, Matthew Hall. Keeping Faith was produced by Vox Pictures for S4C and BBC Wales. After its first showings on the Welsh language channel S4C and BBC Wales, Keeping Faith became the most watched non-network show on the BBC iPlayer. It has been downloaded 17 million times making it the second most popular show on BBC iPlayer of 2018. It scored the highest drama ratings for BBC Wales in over 20 years and became a social media phenomenon. Following its success the show was acquired by BBC1 and has its network premier on July 9th 2018. A second season is scheduled for 2019 and will show on national BBC1. Keeping Faith received six nominations for the BAFTA Cymru awards 2018 and three wins in the best writer, best composer and best actress categories.